1. MicroDigitalFinance: Back before the holidays, I hosted the first faiVLive on how to think about microcredit impact based on recent evidence. If you missed it, you can watch it here (and people are still watching it, I'm happy to say). Here's Bruce Wydick's take on the proceedings if you prefer text to video. Last week, there was some discussion of evidence gaps, and it's clear that I'm not the only one thinking in this direction. On the heels of that Campbell Collaborative review-of-reviews, IPA has a review of evidence (and gaps) on "Building Resilience through Financial Inclusion" that makes a lot more sense to me. Okay, now to some less-meta items. Well only a little bit I guess. Remember that Karlan and Zinman paper about high-cost loans in South Africa that found positive effects? It was a lending for resilience story. Now there's a company in California offering high-cost loans to people via their landlords, specifically marketed to help them not miss a rent payment or to pay a security deposit. The article mostly ignores fungibility, presuming that the actual use of the loan proceeds are paying rent rather than covering some other emergency, but that seems unlikely to me. In the US Financial Diaries we saw that housing payments were much more erratic than other types of payments, though the data wasn't clean enough to really draw any firm conclusions. So is this a lending-for-resilience story or a new version of payday lending debt traps? Speaking of payday lending debt traps, we usually use that phrase metaphorically. But there's a UK payday lender who is apparently eager to make it more literal. Yes, they are advocating for a return to debtors' prisons (darn that asymmetric information and moral hazard!). And even doubling down on the idea. Finally, here's a story (HT Matthew Soursourian) about Kenyan MFIs being driven "to [an] early grave" as digital financial services allow commercial banks and non-banks to siphon off the customer base. Disintermediation was not exactly the story that early proponents of mobile money were hoping for, but it does fit with the historical record of financial systems development. If you know anything about this, or can vouch for the accuracy of the information in the article, I'd love to hear from you. 2. Global Development: I'm going to skip the on-going "shooting fish in a barrel" about OxFam's annual global wealth publicity/outrage stunt since there's nothing at all new there. Better to spend your limited attention on this NYTimes op-ed from Rohini Pande and colleagues on the "new home for extreme poverty." If you follow these topics at all, you know that new home is middle-income countries like India. The Congress Party's proposal of a not-universal basic income to address the persistence of extreme poverty in the country has been getting a fair amount of attention. Apparently Angus Deaton and Thomas Piketty are advising Congress, though from my experience with politicians "advising" could mean "we read their books." Here's Maitreesh Ghatak's take on what it would take for the policy to work. On the other side of the world, I've watched the evolving situation in Venezuela with a great deal of personal interest. I grew up in Colombia, a few hours from the Venezuelan border, and learned relatively recently that an ancestor of mine funded an invasion of Venezuela in the early 1800s. Particularly my interest has been caught by some economists volunteering to educate politicians and pop culture figures on what is going on, in the hopes of stopping bad takes. Here, by the way, courtesy of Chris Blattman, is a deeper background piece on the Maduro regime than you may find elsewhere. The macroeconomic quirks of access to gold reserves and of sovereign and not-so-sovereign bonds under sanctions have been pretty interesting too. And here's Cindy Huang of CGD on the potential for Colombia accessing concessional funding to help finance programs for Venezuelan refugees. Finally, I'm happy to claim, without evidence, that my request for Rachel Glennerster to post her Twitter thread on what she's learned in her first year as DfID's chief economist as a blog post so that was easier to share, cite and archive caused this blog post compiling her Twitter thread. 3. Small Business: My fixation with breaking down the silo between financial inclusion in the US and internationally extends beyond household finance. The story of most small business in the US is the same as it is in developing countries--they are not high-growth "gung-ho" entrepreneurs but frustrated employees trying to generate an income in the face of labor market failures of various sorts. So the perennial development topic of how to increase lending to SMEs should be looking to the US, and those in the US should be looking internationally. For most small and micro-businesses the biggest financial challenge isn't getting credit to invest, but managing cash flow and liquidity. Square, which has historically been focused on enabling retail consumer-to-business payments, recently announced a new product specifically to tackle this problem: a debit card that allows real-time access to balances. To put it in development-speak, Square is offering trade credit to small merchants to cover the trade credit they provide to customers. I'm super-interested in seeing how well it works. But, yes, small businesses often need credit as well. Lending to them is as difficult, if not more so, than lending to low-income consumers. Here's a story in the FT on how digital platforms have filled, expensively, a gap left by a secular decrease in small business lending from banks. The key point is that technology is offering several new putative solutions to classic lending problems, including direct and immediate access to small businesses' bank accounts. Supposedly this will prevent the lenders from incurring large losses in a downturn, but you have to wonder about the macro effects of immediately cutting off the supply of credit to small businesses at the first sign of a recession. Finally, as important as finance is for small business, I think the more important missing capital is human capital. Here's a piece from Next Billion advocating for more funding for human capital interventions which reviews some of the relevant literature. 4. New Year, New You: It's still January in faiV-land, so it's not too late to pledge to learn some new things this year. Say, for instance, practical deep learning (the pinnacle of meta--learning about deep learning). That's a new, free, online course from something called Fast AI. Or perhaps, you'd like to get a better grasp on econometrics (who wouldn't?). Marginal Revolution is rolling out a new free class from Josh Angrist. In the spirit of the source, I'll say it's self-recommending. But maybe you'd like go back to fundamentals. In that case, here's a playlist of Tyler Cowen's 9 most important ideas in economics. 5. Our Algorithmic Overlords: Whenever you think it can't get any worse, that's a big signal that it's about to get worse. Not on topic, but since the story on the world's worst family was such a popular link, last week, here's something even worse. But back to the topic at hand: Facebook being even worse. In this case, by paying teenagers to let the company digitally stalk them. I'm sure all those parental consent forms were authentic. The Facebook stalking broke Apple's rules, and now Apple is the de facto Facebook regulator. Yay? Central to these issues is the nature of digital identity and what can be done with it based on the necessarily not complete picture that digital tracking provides. You may be comforted sometimes by the thought that companies like Facebook, Google, Amazon and Apple don't know everything about you. But you should also be scared, because, the limited information is already shaping what you see. Here's a very insightful piece on the limited control you have over your digital identity and how it shapes your world. And here's a curious effort called Good ID to ensure that digital identities are "good for people as well as for business and government." Which is an idea that I wholly support--even the acknowledgment of the issue is a breath of fresh air. But perhaps they could do a better job of revealing their own identity? This is one of the least informative "who are we"'s I've ever seen. The meta! It burns! I've decided that in general I'm going to try to make the graphic/video of the week a bit more outside-of-the-box of the rest of the faiV. And this is perfect for the meta theme. People on reddit are painting recursive pictures of people holding their paintings. And there's a github for it. Make sure to click on the change layout button. Source. 1. faiVYourJMP: Let's start there with a paper from Ryan Edwards on palm oil plantation expansion in Indonesia. That he finds trade-offs certainly shouldn't be surprising, much less astounding, but it is surprising how well he documents how the growth of export-led agriculture reduces poverty and increases consumption--including the specific channels by which that happens--and the connection to deforestation. Specifically, "each percentage point of poverty reduction corresponds to a 1.5-3 percentage point loss of forest area." Put another way, it's astounding to be able to see the price of poverty reduction outside of a carefully designed cash-based experiment. And let me give a shout out to the Development Impact Blog team at the World Bank who were the inspiration to do this. Their crop of "Blog your JMP" posts is growing by the day and includes many entries worthy of your attention. 2. MicroDigitalFinance: Here's an astounding story about predatory lending and debt collection in New York (and from there, across the US). And I don't care how cynical you are, this is stunning because it's perfectly legal--so legal that there are registered investment companies gathering capital in public markets to do more of it. That story then led me, via Rebecca Spang, to a book that came out at the beginning of this year that I'm embarrassed that I didn't know about, City of Debtors: A Century of Fringe Finance by Anne Fleming. It tells the story of small dollar credit in New York City and the attempts to regulate it and protect consumers, with lots of unintended consequences along the way. Although I've only begun to read it, what's astounding is how easily, if you changed the names of places and people, you could convince someone this was a book about modern microfinance. There's one chapter that could easily be pasted into Portfolios of the Poor with no one the wiser. Fleming is a law professor, and so she doesn't make the connection to the economics literature, past or present (at least that I've seen so far), which is frustrating but also assuages my guilt at being unaware of the book. Anyway, if you care about financial services for low-income households, regulation and/or consumer protection, you need to pick up this book. It would be easy to make a snide and cliche comment about those who cannot learn from history, but is too much to ask to learn from present in other places? Here's a story about "neo-banks" in the US attempting to remake the banking industry, while confronting the hard reality that even without a physical presence, the margins on transactional accounts are razor thin. But, like Fleming's book, it's easy to read this as a story about how banks and MFIs are struggling to cope with the threat of digital financial services being provided by telecom firms which are built on a high-volume, low-margin business model. That is a major theme of the e-MFPs new report on trends in microfinance/financial inclusion, released this week. It's the output of a survey of providers, funders, consultants and researchers on where the industry is headed. I was encouraged to read that other major challenges noted include "client protection, privacy...and preventing an erosion of the social focus of financial inclusion...in the face of new entrants." I'm betting those aren't on the list of very many people in the fintech/neobank space in the US. Finally here's a story from September that somehow slipped by me: Kiva is working with the government of Sierra Leone to use blockchain to create a national ID/credit bureau. I'm still trying to wrap my head around this one but it definitely seems like the kind of thing that would benefit from and generate lots of opportunities to learn from other places. If any of the faiV readers at Kiva want to share more, please call me. 3. MicroSmallMediumFirms: I'm often frustrated that I don't get to spend more time thinking about firms--those of you who know me know I've been wanting to start a project on "subsistence retail" for years. Hope springs eternal--maybe next year is the year I get to do that. But in the meantime, here's a job market paper from Gabriel Tourek featured on Development Impact that finds an astounding reaction to a tax cut in Rwanda: the firms pay more even though they owe less. What's going on? The firms don't know their annual revenues so they don't know how much tax they owe, so they anchor on prior year tax payments. And that's even more true of the least able/least profitable, which isn't surprising but is depressing. Relatedly, here's Chris Woodruff talking for 2 minutes about research on firms at VoxDev, including the difference between studying large firms and small firms. And, new in AER, here's Jensen and Miller delving into that great puzzle of small firms: why don't they grow? Really, though, given what we know about small firms around the world the astounding thing is that any of them do grow. Anyway, Jensen and Miller use a natural experiment that affects boat builders in Kerala and find that consumers tend to buy local, which limits the ability of productive small firms to grow their market beyond their "neighborhood." When consumers can learn about non-local providers, competition makes things better for everyone (except the low-quality/low-productivity builders). 4. Philanthropy: This was the week of Giving Tuesday, which has become a global phenomenon. And as with any global phenomenon, there is good and bad. The good wouldn't be that astounding, so let's start at the other end. Here's a fundraising consultancy providing advice on how to use behavioral biases to trick people into giving more. You may not find that terribly surprising, but I found it amazingly cynical. This isn't about a nudge toward a positive outcome, it's guidance on how to mislead people to induce them to overspend their budgets. And if that's not cynical enough to surprise you, here's Lucy Bernholz on the first Giving Tuesday astroturfing she's seen--a charity created by a PR firm to raise money to hire the PR firm. Giving Tuesday's growth also inspired a lot of debate on Twitter about critiques of the day itself and of philanthropy in general. Here's a thread that includes a collection of links to my longstanding Giving Tuesday skepticism and some thoughts from Ben Soskis, a historian of philanthropy and Asha Curran, one of Giving Tuesday's leaders. That thread bleeds into a couple of other threads. Here's one posted by Rob Reich, whose book Just Giving I highlighted last week, on the need to think critically about philanthropy. That then created this thread including Rob, Phil Buchanan from CEP, Felix Salmon, Asha, Ben and I and connecting back to the earlier conversation. Perhaps the message here is that we should all be astounded that Twitter continues to hold its place in the discussion of ideas. This week also included the release of GiveWell's Top Charities list--note, that I'm the vice-chairperson of GiveWell's board--which continues to focus on deworming and bednets as the most effective use of marginal giving. There is one change to the list which is surprising, in a surprising way. Last year, Evidence Action's "No Lean Season" program to encourage seasonal migration in Bangladesh was a recommended charity. Results of the on-going RCT of the program showed the scale-up wasn't working, which Evidence Action shared with GiveWell and publicly. Both agreed that it should no longer be a recommended charity until Evidence Action can implement changes and document that the results are closer to what the initial impact evaluation found. Here's GiveWell's post about it, here's Evidence Action's post, and here's Dylan Mathews at Vox on how astounding this is. 5. Our Algorithmic Overlords: It would be tough to find anything surprising about the behavior of tech companies after the revelations highlighted in the last faiV. But you may be surprised which company said this: "We already know and have data on our customers...they trust us...We know what people make...we know where they work...We know if they’re married. We know how long they’ve lived in their house...We’ve never ever been challenged on how we use that." No I'm not going to tell you here, you have to click, but make sure you guess before you do. In related news, electric vehicles in China made by Tesla, Volkswagen, GM, Ford, BMW, Nissan and more are sending real time data to the government about their usage patterns and precise location. 1. Poverty and Inequality Measurement: How do you measure poverty, and by extension, inequality? Given how common a benchmark poverty is, it's easy to sometimes lose sight of how hard defining and measuring it is. Martin Ravallion has a new paper on measuring global inequality that takes into account that both absolute and relative poverty (within a country) matter--for many reasons it's better to be poor in a high-income country than a low-income one, which is often missed in global inequality measures. Here's Martin's summary blog post. When you take that into account, global inequality is significantly higher than in other measures, but still falling since 1990. The UK has a new poverty measure, created by the Social Metrics Commission (a privately funded initiative, since apparently the UK did away with its official poverty measure?) that tries to adjust for various factors including wealth, disability and housing adequacy among other things. Perhaps most interestingly it tries to measure both current poverty and persistent poverty recognizing that most of the factors that influence poverty measures are volatile. Under their measure they find that about 23% of the population lives in poverty, with half of those, 12.1%, in persistent poverty. You can think about persistence of poverty in several ways: over the course of a year, over several years, or over many years--otherwise known as mobility. There's been a lot of attention in the US to declining rates of mobility and the ways that the upper classes limit mobility of those below them. That can obscure the fact that there is downward mobility (48% of white upper middle class kids end up moving down the household income ladder, using this tool based on Chetty et al data). I'm not quite sure what to make of this new paper, after all I'm not a frequent reader of Poetics which is apparently a sociology journal, but it raises an interesting point: the culture of the upper middle class that supposedly passes on privilege may be leading to downward mobility as well. There's also status associated with class and income. On that dimension, mobility in the US has declined by about a quarter from the 1940s cohort to the 1980s cohort. That's a factor of "the changing distribution of occupational opportunities...not intergenerational persistence" however. But intergenerational persistence may be on the rise because while the wealth of households in the top 10% of the distribution has recovered since the great recession, the wealth of the bottom 90% is still lower, and for the bottom 30% has continued to fall during the recovery. 2. Debt: What factors could be contributing to the wealth stagnation and even losses of the bottom 90% in the US? Just going off the top of my head, predatory debt could be a factor. If only we had a better handle on household debt and particularly the most shadowy parts of the high-cost lending world. Or maybe it's the skyrocketing amount of student debt, combined with bait-and-switch loan forgiveness programs that are denying 99% of the applicants. I'll bet the CFPB student loan czar will be all over this scandal. Oh wait, that's right, he resigned after being literally banned from doing his job. 3. Banking, SMEs, US and Global: Given those links, you'd be forgiven for assuming that banks, and the financial system in general, are a big factor in driving inequality and downward mobility. But on a global and historical basis, financial system development lowers inequality (that's the classic paper on the topic, not anything new, but I didn't think I could say that without the citation). One way to measure financial system development is the cost of financial intermediation--more development, more intermediation, lower costs. The spread between interest rates for deposits and loans is a reasonable way to measure the costs of intermediation. Here's a new paper from Calice and Zhou measuring the spread in 160 countries (blog summary). They find, not unexpectedly but usefully nonetheless, that intermediation costs are higher in lower income countries, Latin America and Sub-Saharan Africa. Why? A combination of higher overhead, higher credit risk and higher bank profit margins. They also helpfully provide a guide for policymakers on where action will be most effective in lowering intermediation costs. Perhaps one factor in falling rates of new lending that the OECD report doesn't take into account is the closing of physical bank branches. In general, SMEs may depend more on relationship banking--getting to know the loan officer and developing trust through direct contact--than transaction (arms-length) banking: SMEs and start-ups financial statements are simply not going to look that impressive. That does seem to be the case, and it may particularly be a problem for women and minorities, somewhat counterintuitively. That's the finding from Sweden, in a new paper from Malmstrom and Wincent (blog summary). Without the ability to work with a loan officer, women-owned businesses don't look credit-worthy to the algorithms. Another reason to click on that Blumenstock piece in the Editor's Note. In the US, one of the tools to drive funding of women- and minority-owned SMEs is the Community Reinvestment Act. But that's up for revision, and the two men overseeing that revision have a long-standing beef with the CRA and the non-profits who support it. Uh oh. 4. Unlearning: Last week I linked to a piece about how difficult it is to get even experts to change their minds with a second research finding, focused on doctors. It was criminally under-clicked so I'm specifically linking it again. But the universe seemed to want to prove the point, and so this week I saw a bunch of tweets about a PNAS piece that shows the famous finding of judges being more lenient on parole after a meal break rather than before doesn't hold up. The order of cases is not random. I was all set to include it, along with a snide comment about people (not) changing their minds and the fact the paper was from all the way back in 2011 and the original finding was still being repeated. Then I noticed that there was a response to the paper from the original authors, showing that their original findings did hold up despite the not completely random ordering. But a bunch of people were retweeting the 2011 critique this week, apparently without knowledge of the response. So now I'm confused about whether this whole sequence supports or contradicts the article about people not updating their beliefs. So let me try again. Here's "Women in Agriculture: Four Myths" that takes on four widely repeated statements about women's role in agriculture that aren't true. Hopefully there is a chance for us to successfully unlearn something. 5. Philanthropy and Social Investment: I'll admit that it's not really clear that this belongs in this category, but then it's not really clear that it belongs anywhere else either. So without further ado: the disturbing parallels between modern accounting and the business of slavery. That's a story about the new book from Catilin Rosenthal, Accounting for Slavery: Masters and Management. Think of that the next time you hear there are "no tradeoffs" in impact investment. It's a stretch, but still--it will definitely throw the person off when you point out that their statement not only violates basic economic theory but is based on principles developed by slaveholders. Finally, Brest and Harvey have a new edition of their book Money Well Spent, a guide to strategic philanthropy. Here is their reflection on what has changed in philanthropy since the first edition was published ten years ago. And here are several critical (re)views of the book and the concept of strategic philanthropy from a forum hosted by HistPhil blog. 1. Women's Empowerment: Our friends at JPAL released their long-anticipated Practical Guide to Measuring Women’s and Girls’ Empowerment in Impact Evaluations. It comes with a set of questionnaires and examples of non-survey tools that can be more effective at capturing the useful and reliable data. This new study from the U.S. Census Bureau is timely, showing that when a woman earns more than her husband they both tend to exaggerate the husband’s earnings and diminish the wife’s on their Census responses. Gender norms still shape survey responses, no matter where you are. Seems like a good time to revisit IPA’s discussions on mixed methods approaches to women’s empowerment measurement with Nicola Jones and with Sarah Baird from last year. Finally, the US House passed the Women’s Entrepreneurship and Economic Empowerment Act of 2018 this week. The bill seeks to improve USAID’s work on women’s access to finance, and is notable first because of its attention to some (not all) non-financial gender-norms constraints that impact women’s prosperity, and also because it calls for improvements to outcome measurement methods. 2. Migration: The first ever Global Compact for Migration was approved by all 193 member states of the UN last week except for the United States (Hungary is now saying it won’t sign the final document), and one of its 23 high-level objectives is to “promote faster, safer and cheaper transfer of remittances and foster financial inclusion of migrants.” A lot of the language in here sounds like the same old story on remittances, and I am skeptical of the laser-sharp focus on reducing prices (it calls to eliminate remittance corridors with costs higher than 5% by 2030), promoting financial education, and investing in consumer product comparison tools that aren’t based on evidence. Dean Yang’s 2016 study on financial education for Filipino migrants failed to find any positive impact on financial product take-up or usage, for example. 3. Remittances: What about looking to the behavioral econ world to enhance the positive effects of remittances? Behavioral nudges that can leverage digital finance look promising – Harvard Business Review had a nice piece last month on Blumenstock, Callen, and Ghani’s test of mobile money defaults to save in Afghanistan. This experiment is exciting because it shows that, with the right tools, successful interventions from the developed world, like Thaler and Benartzi’s Save More Tomorrow, can achieve similar results in other contexts. Linking remittance transfers to digital finance in the receiving country can create additional opportunities to enhance impact beyond savings, for example using data for credit scoring. Here’s an op-ed from Rafe Mazer and FSD Africa on the opportunities and risks surrounding data sharing models in emerging markets. 4. Nudges: Abraham, Filiz-Ozbay, Ozbay, and Turner have a new working paper on the impact of income-based student loan repayment plans on employment decisions in the United States. They find that limiting the repayment plan options that borrowers are offered can lead them to pursue riskier careers and thereby raise their expected incomes in the long run. By only offering income-based repayment plans, which protects them from defaults by linking payment amounts to earned income, students were unburdened from fears of regret and of making the wrong choice. And lastly, Bernheim and Taubinsky summarize the use of behavioral economics in public policy, including an entire section on policies that target personal saving. 5. Mobile Money: Finally, from Kenya, some experimental evidence on the impact of mobile money on school enrollment in a new working paper by Billy Jack and James Habyarimana at Georgetown. Parents who received a mobile money savings wallet via M-PESA, regardless of whether it incorporated a commitment mechanism or not, increased savings by three to four times, and were 5-6 percentage points more likely to enroll their children in high school. It’s interesting that the commitment savings option wasn’t more or less impactful than just the offer of any mobile wallet, and you can read a new interview with the authors discussing the results on the IPA blog. 1. Household Finance, Debt Specifically: This week I had the chance to talk about the moral dimensions of debt with Fred Wherry, as part of Aspen EPIC's focus on consumer debt in the US (and there are more conversations about debt before and after in that video). One of the things that doesn't get mentioned in the video is that the ancestor of mine who was rescued from debtor's prison later became the official Collector for Jersey City. It's a topic that fascinates me because attitudes toward debt vary so widely across time, culture, context and individual. It often seems like perspectives on debt are pulled from the Wheel of Morality. Just the selective use of the words "credit" and "debt" could be fodder for 100,000 words or more, much less the tension between the lack of access to credit coinciding with troubling debt burdens in many contexts. To get up to speed on the current situation with consumer debt in the United States, you couldn't ask for a better overview than Aspen EPIC's just published primer. Well, you could ask for one, but given the gaps in the underlying data, you wouldn't get it. And to push some more moral buttons, here's a profile of one of the most influential figures in consumer debt today: Dave Ramsey. If you don't know who that is, you really do need to read the profile. 2. Microfinance and Digital Finance: I suppose I'm sending a message by increasingly conflating these two categories. This piece from NextBillion on the need for Indian MFIs to digitize at least gives me an excuse this week. But while I figure out what message I'm sending (or at least intending to send), here are a couple of recent pieces about digital accounts helping people save more. First, a paper from the job market that I missed about M-Pesa boosting savings among those whose alternatives were most costly. And a new paper about an experiment with female entrepreneurs in Tanzania finding digital savings accounts boosted savings rates. My priors aren't shifted much by these, but they are shifted some. To maintain some strategic ambiguity, here's a new paper that fights the digital invasion--there's nothing less digital than grain storage. Providing farmers with a way to communally store grain at harvest has high take-up and as a result were able to sell grain later at a higher price. An intervention to allow individual cash savings for inputs was less successful, though possibly because there wasn't much margin to improve on. 3. Methods and Economics: It took a lot of willpower (though apparently not ego-depleting) not to put this item first, but I worry that my excitement over things like this is not normative for the faiV readership. But for those of you in this niche, here's a new comment from Guido Imbens on the Cartwright and Deaton critique of RCTs (and if you prefer a simpler version, here's my interview of Deaton for Experimental Conversations which gives an overview of most of the issues). To give you a flavor of Imbens perspective: "Nothwithstanding the limitations of experimentation in answering some questions, and the difficulties in implementation, these developments have greatly improved the credibility of empirical work in economics compared to the standards prior to the mid-eighties, and I view this as a major achievement by these researchers." Imbens places RCTs within "the credibility revolution" in empirical economics (which of course is the crux of the debate--how much do RCTs improve credibility?). The credibility revolution, in turn, has played a big role in the growth of empirical economics compared to theory and econometrics. Here's Sylvain Chabe-Ferret with an overview of "the empirical revolution in Economics", some thoughts on the path forward and a treasure trove of links. I have to note here, for those not so enmeshed in the details, that while Deaton is a critic of RCTs, he is a part of the credibility/empirical revolutions through his careful and detailed work with surveys. Finally, here's something form the Royal Economic Society with the headline "Tweeting Economists Are Less Effective Communicators Than Scientists". I haven't read it yet but how could I not link it when it has such an exquisite combination of direct and implied slights on economists? 4. US Inequality, Immobility and Instability: I'm assuming that any of you with an interest have already seen the new results on mobility and the central problem of immobility for African-American men from Chetty, et. al. so well illustrated by the NYT's piece. Hidden in Chetty's shadow are a couple of other pieces on this topic that deserve attention. Inspired by Chetty et al's earlier work on variation in mobility geographically, here's Davis and Mazumder on racial differences within geographies, finding that low mobility in the Southeast is driven by whites; African-Americans in the Southeast have higher mobility than those in the Northeast and Midwest. And here's Guyot, Reeves and Winship with a different approach to the question of African-American male immobility and marriage rates, which confirms the latest Chetty et. al. results. Finally, the St. Louis Fed Center for Household Financial Stability (tm) has an upcoming symposium on whether college is still worth it, given the disparate returns to education. My synthesis of some of the recent work: college is most expensive for people with the lowest rates of return to enrollment. That'll have an impact on mobility, for sure. 5. Our Algorithmic Overlords: Last week I talked about how AI seems to be just as interested in gaming manager's incentive schemes as humans. Here's a piece about computers liking spurious correlations just as much as human story-telling brains, it's just that they are much faster at finding the spurious correlations. I could hardly avoid a mention of the current kerfuffle over the Facebook/Cambridge Analytica revelations. Asif Audowla sent me this link which helps tell the story if you've been buried under a rock. I use the word kerfuffle purposely: I'm still really unsure what to think about all of this, with the pieces I see about fake news proliferating without the need for psychographic targeting, about how hard it is to influence people, and about partisan bias in the reaction to the story. So, I leave this one to you dear readers to tell me what to think. To help you along in that process, here's a piece from New Inquiry that's quite on topic: Privacy for Whom? Following on those studies of US mobility, this chart depicts the mobility, or lack thereof, of the white and African-American men and women. It's worth thinking hard about the similarities and differences here. To help you do that, check out this thread from Arindrajit Dube which puts the chart below in context. Thousands of complaints are received each week, and the authors look at 170,000 complaints from 2012-16, restricted to mortgage problems. The complaints come from 16,309 unique zipcodes – and the question is: which zipcodes have the most complaints and why? The first result is that low income and low educational attainment in a zipcode are strongly associated with low quality products. Okay, you already predicted that. On top of those effects, the share of the local population identified as being part of a minority group also predicts low quality. No surprise again, but you might not have predicted the magnitude: The minority-share impact is 2-3 times stronger then the income or education impact (even when controlling for income and education). The authors suspect that active discrimination is at work, citing court cases and mystery shopper exercises which show that black and Hispanic borrowers are pushed toward riskier loans despite having credit scores that should merit better options. So, why? Part of the problem could be that efforts to help the most disadvantaged areas are backfiring. Begley and Purnanandam give evidence that regulation to help disadvantaged communities actually reduces the quality of financial products. The culprit is the Community Reinvestment Act, and the authors argue that by focusing the regs on increasing the quantity of services delivered in certain zipcodes, the quality of those services has been compromised – and much more so in heavily-minority areas. Unintended consequences that ought to be taken seriously. 3. Household Finance (and Inequality): This ProPublica story is much more juicy, and much more troubling. Writing in the Washington Post, ProPublica’s Paul Kiel starts: “A ritual of spring in America is about to begin. Tens of thousands of people will soon get their tax refunds, and when they do, they will finally be able to afford the thing they’ve thought about for months, if not years: bankruptcy.” Kiel continues, “It happens every tax season. With many more people suddenly able to pay a lawyer, the number of bankruptcy filings jumps way up in March, stays high in April, then declines.” Bankruptcy is a last resort, but for many people it’s the only way to get on a better path. Even when straddled with untenable debt, it turns out to be costly to get a fresh start. The problem will be familiar to anyone who has read financial diaries: the need for big, lumpy outlays can be a huge barrier to necessary action. Bankruptcy lawyers usually insist on being paid upfront (especially for so-called “chapter 7” bankruptcies). The problem is that if the lawyers agreed to be paid later, they fear that their fees would also be wiped away by the bankruptcy decision. So, the lawyers put themselves first. The trouble is that the money involved is sizeable: The lawyers’ costs plus court fees get close to $1500. The irony abounds. Many people tell Kiel that if they could easily come up with that kind of money, then they probably wouldn’t be in the position to go bankrupt. Bankruptcy judges see the problem and are trying to jerry-rig solutions, but nonprofits haven’t yet made this a priority. So, for over-indebted households, waiting to receive tax refunds turns out to be a key strategy. Ticket debt in Chicago is concentrated in areas that are predominantly poor and black, because there isn’t slack to pay the initial tickets, making it more likely that debt results. A fairer system would impose fines on a scale connected to individuals’ income and ability-to-pay. But, for now, we have a decidedly regressive system in which the least-able-to-pay face disproportionately large penalties. 5. Social Investment: The final ProPublica story is a collaboration with the New York Times. Many have reported on the rising cost of drugs, but we don’t often see deep reporting on those who pay the price. The personal stories are both familiar and shocking. Two common threads: many people are too poor to easily pay the drug prices but not so poor that they have access to generous public benefits. They’re caught in between. The result is that individuals end up juggling which medicines to take in the same way that cash-strapped families juggle which bills to pay each month – only with much higher stakes. A second theme is (again) problems posed by large, lumpy, upfront costs. For example: “…Novo Nordisk, the company that sells her fast-acting insulin, Novolog, and her diabetes medication, Victoza, requires low-income Medicare beneficiaries to first spend $1,000 on drugs in each calendar year before they can qualify for free drugs through its program. In a cruel twist, Ms. Johnson doesn’t have that $1,000 to spend, so she resorts to not taking some drugs for months until she reaches the company’s threshold.” The stories highlight ways in which health problems are often financial problems. In a related way, JPMorgan Chase Institute analysis shows that many people defer health spending until they get tax refunds. (Out-of-pocket health spending increased by 60% in the week after getting a tax refund.) Tax refund season is one of the few moments when families have big, lumpy sums to spend on doctors (if they don’t spend them all on filing for bankruptcy). 1. Digital Finance: When I name an item "digital finance" you know I'm going to be talking about mobile money and fintech--but should you? Is there something that's particularly more digital about mobile money than about payment cards or plain-old ATMs (both of which are, of course, fintech). Arguably paying a vendor with a credit card requires fewer real world actions than using mobile money--there are certainly fewer keys to be pressed. That's the overriding thought I had when looking at this new research from CGAP and FSD Kenya on digital credit in Tanzania: digital credit looks like credit cards. It's being used to fill gaps in spending, not for investment; is mostly being used by people with other alternatives; it's mostly expanding the use of credit (on the intensive margin); and it's really unclear whether it's helping or hurting. Perhaps the most striking thing is that digital credit is not being used for "emergencies." Part of the interest, I think, in mobile money and digital credit was that it might enable users to better bridge short-term liquidity gaps given the well-documented volatility of earnings. But that's not what seems to be happening. Again it seems to be mirroring other forms of digital finance that we don't really call "digital finance", namely payday loans (which after all typically involve an automated digital transfer out of the borrowers checking account). Borrowers are very likely to miss payments (1/2 of borrowers) or default (1/3 of borrowers, based on self-reports, not administrative data). Given that, these papers (one, two, three, four) on whether access to payday loans helps or hurts seem like they should be required reading for digital credit observers (and don't forget the links from Sean Higgins a few weeks ago). The gist--they do help when there really are emergencies like natural disasters, but hurt a lot when there aren't. This week in the US is providing an unusual window into emergencies and digital finance. The sharp declines in the US stock market caused a lot of folks to go look at their portfolios, which brought down a new generation of digital finance websites like Wealthfront and Betterment. Even Fidelity and Vanguard had problems. There's an element there of concern about mobile money systems in developing countries: we really don't know what a "run" on a mobile money platform would look like and how systems and people would be able to handle outages whatever their cause. But the more important story is that the problems encountered were probably pretty good for consumers. Preventing people from accessing their accounts in the perceived emergency of stock prices dropping kept them from panic selling, which is a thing humans do a lot. In fact, for those customers that could log in, they found lots of artificial barriers to taking action. Digital finance's key contribution in this case wasn't expanding access, it was limiting it. 2. Household Finance: Which brings us back to the ever recurring theme of household finance: it's complicated and we really don't understand it very well. What we do understand is that it's very hard for people to make sound decisions (causal inference is hard!) when it comes to money. Here, at long last, is the write-up of work by Karlan, Mullainathan and Roth on debt traps for fruit vendors. You may remember this being referenced in the book Scarcity--but if not, the basics are that people in chronic debt who have their loans paid off fall quickly back into chronic debt. That also seems like something digital credit observers should be thinking about. Here's another understudied puzzle: consumers do seem to react to stock market gyrations even though only a small portion of Americans have meaningful investments in stocks. Really, the figure is a lot lower than you likely think. But if it's not sold out yet, you can start investing in stocks at a big discount today--not because of the decline of the stock markets, but this curious offer to buy a "gift card" for $20 worth of stock in major companies for $10. I stared at this for a long time wondering, "Should I use this as a teaching tool for my kids? And if so, should the lesson be arbitrage or why not to invest in individual stocks?" 3. Our Algorithmic Overlords: I promised a review of Virginia Eubanks new book Automating Inequality this week, but I'm not ready yet. In the meantime, I'll point you to Matt Levine's discussion of how little of what we do matters and how big data is starting to illustrate that. It's a riff that starts from a new paper showing that what banks do doesn't seem to matter much, which I suppose is a big support to the point above about how hard household finance is--even highly paid professionals can't seem to do anything that makes a difference. 4. Aspirations, and Risk: I've been linking fairly frequently lately (e.g. this overview from David Evans or Campos et al in Togo) to work that might fall into a broad category of "boosting aspirations,” though even whether that moniker is accurate is still unclear. But there are a number of papers finding that if you help people believe that what they do matters and they can improve their lives (regardless of what the data from banks tell us), that can have a big positive effect on their behavior and outcomes. Here's a post on promising early results of another of these studies, with Jamaican entrepreneurs. Of course, with our good economist hats on we should wonder about persistence of aspiration-raising, and general equilibrium effects. Here Galiani, Gertler and Undurraga find that boosting aspirations through the visible gains of neighbors wears off pretty quickly. But I've been thinking about this more and more through the lens of risk, particularly on the back of Jonathan's write-up of the new Townsend results on risk-adjusted returns for poor farmers last week. If you haven't read that yet, you definitely should. Perhaps one of the reasons that aspiration-raising is working is that it is boosting people's willingness to take on risk. I'll be writing a lot more about this in next week's faiV. 5. Surprise: I'm easing back into the faiV, and it's late in the day. So I'm going to surprise all of you and just stop there for now. But I can't not have a link, so go play this game about the "retail apocalypse" in the US that Bloomberg put together. And for the American GenXers out there, prepare for flashbacks to Kings Quest. 1. Social Investment: Last week I was at European Microfinance Week. Video of the closing plenary I participated in is here. My contribution was mainly to repeat what seems to me a fairly obvious point but which apparently keeps slipping from view: there are always trade-offs and if social investors don't subsidize quality financial services for poor households, there will be very few quality financial services for poor households. Paul DiLeo of Grassroots Capital (who moderated the session at eMFP) pointed me to this egregious example of the ongoing attempt to fight basic logic and mathematics from the "no trade-offs" crowd. This sort of thing is particularly baffling to me because of the close connection that impact investing has to investing--a world where everything is about trade-offs: risk vs. return; sector vs. sector; company vs. company; hedge fund manager vs. hedge fund manager. The logic in this particular case, no pun intended, is that a fund to invest in tech start-ups in the US Midwest is an impact investment, even though the founder explicitly says it isn't, because it is "seeking potential return in parts of the economy neglected by biases of mainstream investors." If that's your definition of impact investing you're going to have a tough time keeping the Koch Brothers, Sam Walton and Ray Dalio out of your impact investment Hall of Fame. Sure, part of the argument is that these are investments that could create jobs in areas that haven't had a lot of quality job growth. But by that logic, mining BitCoin is a tremendous impact investment. You see, mining BitCoin and processing transactions is enormously energy intensive. And someone's got to produce that energy, and keep the grid running. Those electrical grid jobs are one of the few high paying, secure mid-skill jobs. Never mind that BitCoin mining is currently increasing its energy use every day by 450 gigawatt-hours, or Haiti's annual electricity consumption. And, y'know, reversing the trend toward more clean energy. Hey anyone remember the good old days of "BitCoin for Africa"? 2. Philanthropy: There are plenty of trade-offs and questions about impact in philanthropy, not just in impact investing, and not just in programs. Here's a piece I wrote with Laura Starita about making the trade-offs of foundations investing in weapons, tobacco and the like more transparent. I could have put David Roodman's new reassessment of the impact of de(hook)worming in the American South in early 20th century under a lot of headings (for instance, Roodman once again raises the bar on research clarity, transparency and data visualizations; Worm Wars is back! ; etc.). The tack I'm going to take, in keeping with the prior item, is the impact of philanthropy. The deworming program was driven by the Rockefeller Sanitary Commission and is frequently cited, not only as evidence for current deworming efforts, but as evidence for the value and impact of large scale philanthropy. Roodman, using much more data than was available when Hoyt Bleakley wrote a paper about it more than 10 years ago, finds that there isn't compelling evidence that the Rockefeller program got the impact it was looking for. Existing (and continuing) trends in schooling and earnings appear unaltered. Ben Soskis has a good overview of the seminal role hookworm eradication had in the creation of American institutional philanthropy. His post was spurred by an article I linked back in the fall about the return of hookworm in many of the places it was (supposedly?) eradicated from by Rockefeller's philanthropy. We may need to rewrite a lot of philanthropic history to reflect that the widely cited case study in philanthropic impact didn't eradicate hookworm and may not have had much effect. And while we're in the revision process, it may be useful to reassess views on the impact of the Ford Foundation-sponsored Green Revolution: a new paper that argues that there was no measurable impact on national income and the primary effect was keeping people in rural farming communities (as opposed to migrating to urban areas). Given what we now generally know about the value to rural-to-urban migration, that means likely significant negative long-term effects. If you care about high quality thinking about philanthropy, democracy and charitable giving in general, which I of course think you should, you should also be paying attention to some of Ben Soskis' other current writing. Here he is moderating a written discussion of Americans' giving capacity. And here's a piece about how the Soros conspiracy theories are damaging real debate about the role of large scale philanthropy in democratic societies. In the spirit of the holidays, I feel like I should wrap up an item on philanthropy with some good news. In the last full edition of the faiV I mentioned the MacArthur Foundation's 100&Change initiative, which is picking one idea to get $100 million to "solve" a problem. For all the problems I have with that, the program is doing something really interesting, thanks to Brad Smith and the Foundation Center. All of the proposals, not just the finalists, are now publicly available for other foundations to review. 3. Frustrated Employees: One of the core conceits of the microfinance movement is the idea that many (most?) poor people are frustrated entrepreneurs, with lots of ideas and opportunities available if only they had access to credit. It's one of the reasons that we didn't get the impact we were looking for from massive expansion of microcredit. The idea of frustrated entrepreneurs still lives on for a lot of the general public, but I think (hope?) it's been largely abandoned within the core of the industry. But just in case, I thought I would pass along some more evidence that the poor are frustrated employees, not frustrated entrepreneurs. Here's a paper looking at small enterprise owners in Mexico, who shrink their businesses when jobs come to town, in anticipation presumably of giving up the grind of entrepreneurship for the dream of a paycheck. And here's a look at Thai entrepreneurs operating multiple micro-enterprises that concludes that it's not lack of credit that's holding back their businesses, but their own lack of skills. One of the paradoxes of the microfinance movement was that co-existing with the idea that the poor were frustrated entrepreneurs just waiting to be unleashed was the emphasis on providing a loan with conditions that made entrepreneurial risk-taking difficult if not impossible. Field and Pande showed quite a while ago that if you relaxed the constraints on loan payment, some borrowers would make riskier investments and gain from it. Here's a recent follow-up to that work which adds further evidence--again finding that borrowers with a more flexible contract end up with higher business sales, but also that the contract does a good job of inducing self-selection of borrowers who do have more of the necessary characteristics for entrepreneurial success. It's not just people in lower income countries that are frustrated employees. Many employees are frustrated employees--frustrated that the jobs they have are terrible. Here's Zeynep Ton on the case for relieving that frustration and creating better jobs. 4. Our Algorithmic Overlords: A couple of quick hits here. First, the Illinois Department of Children and Family Services tried to use big data and algorithms to predict which children were at most risk. They're scrapping the program "because it didn't seem to be predicting much." And here's Zeynep Tufecki on the dystopia we're building "just to make people click on ads." Definitely not the impact we were looking for. 5. Household Finance: If there's any impact the microfinance movement was not looking for, it was to replicate the troubling situation with debt that we see in many lower income American (and European, though to a lesser extent) households. It's one of the reasons the industry was so fixated on emphasizing that they were making entrepreneurial loans not consumption loans. The Urban Institute has a new interactive map on debt in America, with data down to the county level. There's a lot to explore there--CityLab has a nice summary overview if you just want some takeaways. The Mimosa Index is doing something conceptually similar for microfinance, albeit at a much grosser level due to data constraints. Hey, MicroSave what about doing something like this for digital credit in Kenya? And to tie everything together, from trade-offs to impact, here's some new work from Emily Gallagher and Jorge Sabat (via Ray Boshara's blog post) on the trade-offs households have to make between savings and debt--finding (in the US) that the short-term sub-optimal choice of saving at low interest rates while carrying high-interest debt pays off in the medium-term. The mechanism is having some liquidity to meet shocks without running up more debt. I have some ideas (and some organizations willing to try them) about how to maintain liquidity while reducing debt, so if you'd be interested in funding a pilot, just let me know. Ray's post is motivated by thanking his dad for giving him advice as a teenager to always have some savings on hand, even if it meant ultimately paying more in interest on loans, advice that now has an empirical basis. I can't let that opportunity for one of my standard harangues pass by: the state of personal finance advice is horrific. Here's a piece from the NY Times this week which under the heading of getting "better at money in 2018" advises readers that cutting out small indulgences can add up and that they should spend more on take-out to be happy. Gosh I wonder which of those pieces of advice is more likely to be taken? Via Barbara Magnoni of EA Consultants, a little video about international remittances to hopefully brighten your weekend. It's certainly better than a Star Wars joke. 1. Appropriate Frictions and End-User Behavior: A key theme of the EPIC conversations on debt from my perspective was the importance of differential frictions in access to various kinds of debt. One example: it's much more time consuming to open a home equity line of credit than a credit card account. There are reasons for that of course: we want people to be careful about borrowing against their home, because we fear the consequences for people if they default. But the cost of unsecured credit is so much higher, and various forms of debt are so interlinked, that households can end up in worse straits precisely because we tried to protect them. The true conundrum of appropriate frictions is that the process of determining the best form of credit for a household is in itself a friction that drives consumers toward those willing to provide credit without a care for its impact on the household--a somewhat obtuse but accurate way of describing predatory lenders. This is one of the lessons from microcredit. Demand for microcredit in most contexts is actually quite low, and rarely did microcredit have much of an impact on local moneylenders. The reason of course being that taking a microloan usually involves a lot of friction, while borrowing from a moneylender is low friction. Those operating in the US will immediately see the exact overlap with payday/auto-title lending vs. working with a community development credit union. But it's not just a question of the behavior of consumers. Front-line staff also play a role; they are an under-recognized form of end-user that has to be taken into account. Here's some new work by Beisland, D'Espallier and Mersland on "personal mission drift" among credit officers of Ecuadorian MFIs. Now don't look away because this is about microcredit or Ecuador--it's directly applicable to any kind of financial service offered to any kind of customer anywhere. Beisland et al. find that as credit officers gain experience they tend to serve fewer "vulnerable" clients (e.g. smaller loans, young borrowers, disabled borrowers). Why? Because it takes too much time--there are those frictions again. Figuring out how to offer quality products, especially credit, with appropriate frictions for both the borrowers and the credit officer, is a conundrum everywhere. For further evidence of this, check out the similarities between this piece from Bindu Ananth about conversations with newly banked customers in Indian cities, and this report on "Generational Money Chatter" in the US from Hope Schau and Ignacio Luri (especially from GenXers and Millennials). The common theme I perceive: lots of questions and uncertainties about products and providers, little faith in the "systems," and confusion about where to turn for trustworthy advice. 2. Frictions, Temptation and Digital Finance: Those of you working in the digital finance world may already be thinking about how digital tools can lower frictions--after all, not only can FinTech tools more quickly and easily gather data from consumers, but they often cut the front-line staff right out of the equation! Take that, friction! Oh but friction can be useful. This is one of those areas where I'm constantly baffled at the disconnect between the developed and developing worlds. In the developed world, it's generally understood that the goal of payment and digital finance innovation is usually to remove friction specifically for the purpose of getting people to spend more money, more often. Amazon didn't develop and patent one-click ordering out of concern for saving people time (Interesting side note, Amazon's patent on one-click expired last month--exogenous variation klaxon!). The sales pitch that credit card issuers make to merchants has always been that credit cards induce people to spend more. Here's one of my favorite new pieces of research in a long time: a study of how people in debt management plans handled spending temptation (if that description is too dry to get you to click, try this one: "Target is the Devil!"). The sub-text, and sometimes text, is how hard retailers and some credit providers work to break down the frictions that prevent people from spending. What's the connection to digital finance, particularly in developing countries. I'll enter there through this piece from Graham Wright based on a debate at the recent MasterCard Foundation Symposium on Financial Inclusion. Graham was asked to make the argument against the hope for digital finance serving poor customers. His list of five reasons why digital finance is "largely irrelevant" in the typical rural village is worth reading at face value. But it's also worth thinking about in terms of how much of digital finance is aimed at removing frictions, how it's failed to remove some of those frictions for poorer customers and what can (or will) happen to poor households when appropriate frictions are removed. 3. Quality Jobs: Another conundrum that deserves more global synthesis is the struggle to create quality jobs for low-income households. Certainly one factor of quality jobs is how much they pay. While there's little doubt that productivity has a big role to play in wages, it's not always clear, particularly since 1973 (the year I was born, coincidence?) how close that link is. Stansbury and Summers have a draft of a paper arguing that the link is still pretty strong. Josh Bivens and Larry Mishel push back, arguing that policies that undermined workers' power led to a divergence of wage growth and productivity growth, and a continuing decline in jobs that pay well enough to be quality jobs. The stagnant wages for many workers since the 1970s is one of the reasons it's clear to me that it is no longer sufficient to look at having a job as binary. Here's a new review on jobs and recidivism that finds evidence that the quality of job is what matters in helping the formerly incarcerated stay out of prison. Here's a paper from Haltiwanger, Hyatt and McEntarfer on another aspect of job quality--a chance to move up the "job ladder"--and who is getting the opportunity to move up. The surprising news: less-educated workers are more likely to move from a low-productivity firm to a high-productivity one (which should lead to higher wages, but per Mishel et al above, perhaps not). There's more than one way to take on raising the quality of jobs. Here's work from Akram, Chowdhury and Mobarak on the effect of people moving out of poor areas for better jobs. In short, they are studying a program that subsidizes rural Bangladeshi villagers migrating to cities during the low agricultural season. We already know that raises the wages of the migrants, but it also helps those who don't migrate by tightening the labor market in the villages. Here's where I have to mention that geographic mobility in the US is declining. Meanwhile, take the example of Chicago where segregation continues to shut people out of access to quality jobs, and more. Time for more programs to help Chicagoans migrate, I think, perhaps by reducing some of the frictions. 4. Evidence-Based Policy: Rachel Glennerster examines several cases where evidence led to scaling up programs, asking "When do innovation and evidence change lives?" She doesn't mention the scale-up of the seasonal migration program in Bangladesh mentioned above, but highlights several different models of research and scaling. For those more technically minded, Eva Vivalt has a new version of her paper and an accompanying blog post on research generalizability--how much we can expect a research finding to hold when it is tried elsewhere (or just scaled up). But if you're just looking for examples of research findings that did or didn't hold in differing contexts, take a look at this thread responding to Jess Hoel's appeal for examples to use in her teaching. Of course one factor in how generalizable research findings are is the contexts the research is conducted in. David Evans mapped the papers presented at the recent NEUDC conference in three ways (see the comments for the third one). Do you see too much concentration? 5. Neoliberalism: Finally, here's Dani Rodrik on the state of economics and the use of the term neoliberalism. I'm not going to pretend that I can do the piece justice in summary form, so I'll just provide the link and tell you to click on it. Here's the backstory of how the piece ended up in Boston Review. In case you were too lazy to click on the link to David Evans' mapping of 2017 NEUDC papers, here's the first chart. To get the other two, you're going to have to click. And scroll. Via Development Impact. Editor's Note: It's the middle of August, so I thought it would be fun to change pace and have a faiV of just visualizations, graphics and videos. Or the most interesting things I saw this week all had visual elements. The faiV will be off the next 2 weeks. See you in September. 1. The Global Middle Class: By now, Branko Milanovic's elephant chart should be quite familiar. Nancy Birdsall of CGD has a new post about the state of the global middle class that delves into the elephant chart and other data looking at the state of the middle class globally. Middle Class: Winners or Losers in a Globalized World? 2. Global Inequality: Another chart that may be somewhat familiar but certainly should be top of mind these days. Our World in Data looks at inequality, from a lot of perspectives, here before and after taxes and benefits in developed countries. 3. US Inequality (and Debt): Speaking of inequality before and after redistribution, Catherine Rampell at the Washington Post has a couple of interesting recent posts on policy to help (or not) lower-income workers. 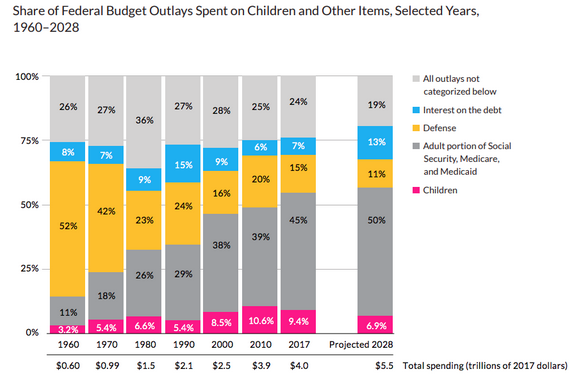 The first chart here made lots of waves this week in a post by David Leonhardt, and provides the visceral oomph behind the need to reassess policy in the US. Although this data and similar charts have been circulating for quite awhile, it still thankfully grabs attention. Whether or not the top chart is related to the bottom chart is one of the questions that Aspen's EPIC is taking on this year. Regardless of the direct connection between income inequality and rising debt, the fact that we are back to record levels of credit card debt seems concerning since it's likely not the .001 percent taking on this debt. That being said, rising debt could also be a sign that finally consumer confidence is returning and people feel that their incomes may start rising again. 4. Statistics GIFS: You can't say I don't know my audience--you guys go crazy for things like this, at least that's what the click data says. The two images at the top are from Rafael Irizarry at Simply Stats, in a post about teaching statistics and how to think about data. Helpfully, the post includes the code to recreate each of the images (and he's got a lot more where these came from). This week there was also a revival of the Autodesk post about how visualizations can mislead that I featured a while back. It's here again because Jeff Mosenskis of IPA made an underappreciated awesome joke about also being wary of violin plots. 5. Low Quality Equilibria: I couldn't pass this one up when I saw it this week, given my recent rants. Who knew that removing frictions from sharing market information would make it impossible to ever tell if any product was good or not? Editor's Note: The faiV is brought to you this week by the Aspen Intitute's Financial Security Program EPIC team: Joanna Smith-Ramani, David Mitchell, Katherine McKay, and Katie Bryan. Their views, etc. though YouTube links are probably mine. Check out their work on income volatility and on consumer debt at aspenepic.org. I'll be back next week. 1. Weaponized Data and American Inequality (Part 3): We learned a lot in reading the faiV’s summary and corresponding links detailing the minimum wage debate consuming economists across the country. While we haven’t reached our own conclusion about whether a $13 minimum wage in Seattle is or isn’t too high, we are following how some state legislatures across the country are actively rolling back minimum wages established by municipal governments. Example? St. Louis was dealt a big blow and the city has received a lot of press this summer. 2. Living for the City: CityLab profiled recent research on the intersection of urban development and economic inequality, making us think back to Stevie Wonder’s “Living for the City.” Still relevant. And beautiful. A new study out of the University of Idaho looks at 639 urban counties in the US and the factors that determined when they felt the effects of the 2006-2010 recession. Rarely do we see the Gini coefficient being used in the context of domestic inequality – but we should use this metric more often. Consequently, we were really excited to see this interactive map of the Gini coefficients of counties across the US. For more on cities, another CityLab piece looks at how housing policies worldwide will only exacerbate urban inequality and housing crises. And this story on how inefficient tax codes, high cost of living, and migration, by both companies and residents, are sending the state of Connecticut spiraling, makes us rethink how we view the fiscal policies of traditionally blue, wealthy states. 3. Income Volatility, Short-Term Savings, Retirement (Oh My): Over the last 18+ months, our team has conducted a deep dive on both the impact income volatility – large fluctuations in week-to-week and month-to-month income – has on US households and potential solutions for mitigating the problem. Our latest briefs look at the role wage insurance could play in helping families cope with job loss or reduced wages and how shortfall savings can serve as a buffer during financial emergencies. Because we care about both short-term financial stability and long-term security, we also spend our days thinking about comprehensive policy solutions to help expand access to retirement savings opportunities. In our process learning about more about income volatility, we’ve realized it’s particularly hard to save for the long-term when short-term savings are lacking. This new paper looks at the effect income shocks have on retirement savings (the stats aren’t pretty: “96 percent of Americans experience four or more income shocks by the time they reach 70”), and *mark your calendars* later this fall, we’ll be publishing two papers on how volatility affects retirement savings. The advantages of going cashless? The claimed benefits tend to be 1) speed - for both consumers and banks, removing cash from transactions is faster 2) curbing illegal activity – Sweden saw a decrease in drug trafficking and illegal employment and 3) financial inclusion – this one needs to be fleshed out more, but we think and are hopeful that going cashless will require more people to open bank accounts, and the benefits of being “banked” are many. That said, some are concerned that going cashless could undermine other financial inclusion efforts. We may be able to learn from how this plays out in India, where recent moves toward becoming a cashless economy have disrupted many poor communities. 5. Consumer Debt: EPIC’s new topic is consumer debt. Debt is back to pre-Recession levels, subprime auto lending is booming, and we have many many questions: how does income volatility impact people’s ability to manage their debt? And, will we pay off our student loans before our children apply to college? Maybe… if you’re one of thousands of distressed borrowers who learned this week that their private student loans may be forgiven. Because the investors who sued them are unable to prove ownership of nearly $5 billion in student loans. It’s like the foreclosure crisis all over again! U.S. consumers now have a record $12.7 trillion in debt, leaving many wondering whether it’s time for concern. There’s no easy answer. Based on a new paper from UBS, Business Insider reports “The poorest Americans are suddenly worried about repaying their debts.” We don’t know about that “suddenly” part, but you can’t judge a story by its headline, and those making less than $40,000 are increasingly concerned. Do you know what it means? Source: Zillow.com via The Basis Point via Ritholtz.com. Apparently none of them know what it means either. I feel like it must have something to do with the serial linking but that's probably wrong. I'm more confident it might have something to do with the record-low labor force participation rate, not charted here. 1. Ken Arrow: Ken Arrow died this week, at age 95. Arrow is the youngest economist to win a Nobel (51), and probably could have won more than once so wide-ranging was his work and influence. He won the Nobel for his work on general equilibrium, but he made foundational contributions to health economics, insurance, risk analysis, and more. Still, he was most famous for his Impossibility Theorem, showing that no majority voting system can be free of arbitrary outcomes. It was also apparently impossible to discuss a subject he wasn't well read in. Here is Tim Harford's short obituary. Here is the Monkey Cage Blog's appreciation ("Arrow proved the existence of a solution to the problem of economics and the non-existence of a solution to the problem of politics."). And here is a three part interview with Arrow from 2009. 3. Pick Your Crisis: Is the next US financial crisis going to come from widespread default on auto loans? Americans now owe $1.16 trillion on car loans, an average of $6000+ per licensed driver. Who is loaning all that money? The car manufacturers; 3/4s of lending to subprime borrowers is underwritten by the manufacturers. Or will the next crisis be the result of the large numbers of Americans who aren't saving for retirement? New data from the US Census Bureau based on tax records finds only 41% of American workers eligible to for a workplace retirement account are using them (another reason why the idea, noted in last week's faiV to make withdrawals from retirement accounts even harder may not help very many people). Or perhaps the next crisis will be based on uncertainty. The Trump administration seems to already be mucking with government statistics. In other words, you should probably lower your expectations of new data insights coming from the Federal government. 4. Household Finance: The Zambia Financial Diaries report is now available. Microfinance Opportunities tracked 355 people for a year in four different parts of Zambia. There are lots of good details here on how households use primarily informal financial services to manage cash flows and smooth consumption. In the US, here's the story of a mother of three in Boston and her weekly financial juggling to make an upwardly-mobile lifestyle on below-local-median-income--it's a mini-financial diary. 5. Mobility and Migration: Here's a piece by Jeff Bloem and Scott Loveridge on the mobility of resettled refugees in the US. Within a year of arrival, more than 10% of the refugees resettled in the US had moved to a different community. The number of refugees in Minnesota doubled because refugees resettled in other states quickly moved again in search of jobs, services and community. They note that there are large differences in the services available state-to-state and that refugees learn this quickly and react to incentives. Which makes it all the more curious that geographic mobility in the United States in general has dropped so much--if refugees can figure out that moving is great path to opportunity in less than 12 months in the United States, why can't everyone else? Samaritans, Eugenics, Poverty Traps and Poverty Escapes! 1. Poverty Traps: Every year the Development Impact blog selects a few interesting job market papers and invites the authors to blog the papers (you have to believe that there is some randomization going on in the background and at some point David McKenzie et al. are going to publish something about the causal impact on citations and job offers). The most interesting to me so far this year is a paper by Arun Advani attempting to explain why, given that there's lots of inter-household lending in poor communities, and at least some opportunities for productive investment, so little informal lending seems to flow into productive investments and households stay poor. Using theory and data from one of the Targeting the Ultra-Poor studies, Advani shows how lenders can be reluctant to help their peers make profitable investments because success will weaken the bonds that keep them in mutual support relationships. It's a useful lens to think about the limitations of informal finance and where the relative advantage of formal financial services may lie. 2. Pro-Poor Digital Finance: Last week, I posited this topic as a question. This week, in strong contrast to the piece I linked about Safaircom preying on poor women, a new paper from Tavneet Suri and Billy Jack argues that access to mPesa moved 194,000 households in Kenya above the $1.25 poverty line. They write, "Thus, although mobile phone use correlates well with economic development, mobile money causes it," which seems to me to be a remarkably strong causal claim. Meanwhile, the UNCDF has published the first in a series of toolkits for financial services providers hoping to develop pro-poor digital finance. And the Aspen Institute's Financial Services Program has launched the Non-Profit Leaders in Financial Technology (nLIFT) group to link groups working on pro-poor digital finance in the United States. 3. Agricultural Finance: Agricultural finance is hard and it always has been (see David Graeber's Debt for an intro to agricultural finance debt crises in ancient Mesopotamia). So it's not surprising how little use of formal or informal agricultural credit there is in sub-Saharan Africa despite the spread of microfinance and increasing use of modern inputs. This new paper finds that the only form of "credit" in wide use is output-labor arrangements, which fits nicely with the poverty trap model in Bangladesh noted above. Agricultural finance isn't all about credit--insurance is a big issue too. Here's a new paper looking at the "Samaritan's Dilemma" (moral hazard arising from the expectation of a bail-out by private charity or public aid) in agricultural insurance markets in the US which finds the dilemma exists and leads to farmers underinvesting in insurance and inputs. Like I said, agricultural finance is hard. 4. Social Investing: Last week I highlighted the case for social investment in microcredit. How will I know if the paper makes any difference? Well, there are a couple of new surveys trying to bring a bit more regular measurement to the social investing space: one from GIIN and the other called Toniic. Yes, really. Of course, the amount of investing and the returns they are reporting should generate a great deal of skepticism that we've nailed the measurement of social investment activity. 5. Slavery, Eugenics and Economics: Economic historians and historian historians are having a running battle about how to understand the economics of slavery in the American South and it's relation to industrial development and capitalism. I have a sneaking suspicion which side most of my readers will gravitate to, especially after reading the historians' takes on counterfactuals. Speaking of economic history, here's the "take your breath away" story of the beliefs of the founders' of the American Economic Association. As Justin Wolfers notes, perhaps it's time to change the name of the Ely Lecture (to be given this year by Esther Duflo). You didn't really think I was going to skip over David Roodman's adjudication of the Worm Wars? Or the new look at wage stagnation in the US? Or the big new Raj Chetty look at economic mobility? Of course I wouldn't--but I am assuming that you already have an open tab for each of those. Whether or not you click on these links will tell me whether I need to keep such high profile things in the first 5 (or 10) links. 1. Demonetization in India: It doesn't seem like I'm the only one who's a bit confused by exactly what's happening in India and why this particular set of steps will yield the stated outcomes. Here's my current understanding: Last week, the government declared that 500 and 1000 Rupee notes would no longer be legal tender, effective immediately. Except that those notes could be exchanged for new notes until December 31 at banks and post offices. But only by people with official government ID. The purpose is to drive more of the economy into the formal sector and to clamp down on black market activity and corruption. Usually advocates of this sort of step talk about high denomination bills (which they say facilitates corruption by making it relatively easy--in terms of size and weight--to transport large sums) like $100 bills. But 1000 Rupees is roughly $15 and a new 500 Rupee note will be in use and other large denominations like 2000 Rupees will also continue to exist. As you can imagine, when 86% of the currency in circulation by value has to be immediately exchanged, there are some problems. Of particular interest to faiV readers might be the effect on microfinance banks, which are not allowed (as of now) to accept or exchange the old notes. That apparently has caused repayment to plummet since people can't get their hands on legal notes to make their payments. There's also a surge in use of ATMs and people signing up digital finance systems. Of course, then there's the problem that roughly 30 percent of the population (a mere 300 million people) doesn't have official ID (not counting the additional millions who are short-term migrants and don't have their ID with them where they currently are). Lot's more to come on this story I'm sure. 2. Digital Payments and State Capacity: Dan Radcliffe of the Gates Foundation has a new paper (published by CGD) on the knock-on benefits of government-to-citizen digital payments infrastructure. Direct transfers have already shown significant benefits in terms of efficiency and effectiveness of social welfare programs. Radcliffe argues that other benefits also deserve attention, specifically "strengthening energy policy, food security, government transparency" and overall state capacity. 3. Financial Inclusion for Refugees: CFI has been running a series on financial inclusion for refugees. The fourth and final installment is here, looking at the future of financial inclusion for refugees with specific advice for how donors, practitioners and governments can do better. 4. Goldman Sachs and Consumer Debt: I'm old enough to remember when Goldman Sachs was a "vampire squid" sucking the life out of the global economy. As of this week, GS is also your friendly (digital) neighborhood lender, here to help you manage life's demands and escape from credit card debt with low-interest loans. Beginning this week, GS is running ads for it's consumer lending business on Facebook and YouTube that "depict debt as an unavoidable nuisance of modern life." Given the amount of income and expense volatility documented in the US Financial Diaries, that sounds about right actually. The Goldman tagline is "Debt happens. It's how you get out that counts." I wonder if the Goldman loans will come with a "Don't Swipe the Small Stuff" sticker for credit cards? In other consumer debt news, the former CEO of Lending Club, fired for potentially misleading investors, is already opening a new lending storefront. And here's an Urban report on how the overhang of bad credit scores from the Great Recession is continuing to hold back consumers and the US economy. 5. Obey the Evidence! : This week I happened across a review of the Milgram obedience experiments, which were conducted about 50 years ago. That led me to some more reading and research--there's a lot of recent material. Much of it is about what has been discovered by a close review of the Milgram archives and the difference between what actually happened in the experiments and what was reported--and what that means about how we should think about the results and the conclusions. It's interesting and thought-provoking reading, not only because it's about one of the foundational findings of behavioral science, but also because it should lead us to reflection on the conclusions we draw about the current generation of studies. 1. Financial Institution Behavior, Part I: Xavi Gine and Rafe Mazer pull together audit studies of banks conducted in Ghana, Mexico and Peru. You will be shocked, shocked to discover gambling--I mean, failure to disclose true product costs or best-fit and cheapest products--in these establishments. 2. Financial Institution Behavior, Part II: The recovery in home prices in the United States since the housing bubble has left one part of the market untouched: homes with values below $100,000. Banks won't originate loans for mortgages of this size because the fees they can charge are capped below profitable levels, so owners can't refinance or sell. There is a non-profit turned hedge fund that's taking on this market though. 3. Financial Institution Behavior, Part III: OK, so they're not financial institutions, but debt collectors are part of the financial infrastructure. And they've behaved so badly--harassing debtors, pursuing people who don't actually owe the debt, etc.--that they generate more complaints to the CFPB than even payday lenders or frauds. So the CFPB is drafting new rules to govern debt collection. 4. Hope, Aspirations and Poverty: Travis Lybbert and Bruce Wydick have a new paper providing a framework for empirical and experimental work on the role of hope and aspirations in development interventions. They have some preliminary tests of what happens when a microfinance institution tries to raise hope and aspirations of clients. Hey, this one's about financial institution behavior too! 5. Research and Fear: Barbara Magnoni wonders about the ways researchers and product designers and testers convene focus groups and conduct research, and suggests the need for more guidelines on how to convene people respectfully, recognizing power dynamics and cultural context--and not scare them. Whaddaya know, turns out this is about financial institution behavior too. Speaking of hope, here's a video of Esther Duflo's talk on hope and aspirations (from 2013) at the Stanford Center for Ethics in Society. 2. The Housing Boom: I'm also newly confused about what was happening in the housing boom. A new working paper from Foote, Loewenstein and Willen shows that low-income borrower mortgage debt didn't increase relative to high-income borrower mortgage debt. Reading that paper I learned thatBhutta earlier found that new home buyers weren't much of a factor during the boom. 3. Consumer Debt: A lot of people are confused about consumer debt, not just housing debt, in the United States. Here's a Slate piece about how to get out of debt which won't tell you anything new if you've ever heard of present bias. Here's a Slate piece from the week before blowing large holes in the "present biased overspending" theory of consumer debt. And remember that link from last week about how behavioral tricks to increase saving still don't yield any increase in poor households ability to save for the long term? One sure fire way to reduce debt is to forgive it--but you might want to acknowledge the source of the idea. 4. Field Experiments: Banerjee and Duflo have edited a new volume on field experiments for Elsevier packed with good stuff (several papers have been linked in the faiV in recent months) but their agreement was conditional on the working paper versions being available for free. My confusion: who is going to pay Elsevier and why? Bonus Update: The Swiss voted against basic income, but the Y-combinator experiment in Oakland is moving forward. 1. Microcredit Impact: One way to judge the impact of microcredit is randomizing access. Another way is to see what happens when microcredit is suddenly taken away. There are two new papers that use the latter approach based on the sharp reduction in lending that ensued from the Andhra Pradesh crisis in 2010 (has it really been that long ago?) by Emily Breza and Cynthia Kinnan, and Banerjee, Breza, Duflo and Kinnan. BK find decreases in wages, wage earnings and consumption concentrated among poorer borrowers when microcredit goes away. BBDK find sharp heterogeneity in effects on "gung-ho" entrepreneurs and "reluctant" entrepreneurs of access to and then loss of access to microcredit. Of course, that leaves the question of the underlying differences between gung-ho entrepreneurs and reluctant entrepreneurs. Could it be aspirations? You should ask Stefan Dercon or Bruce Wydick about that. 2. Income Volatility: This week, the Aspen Institute launched the website for the Emerging Prosperity Impact Collaborative, an ongoing effort to draw attention to emerging economic issues that affect household financial security in the United States. The first year is focused on income volatility, inspired in part by the US Financial Diaries. EPIC has an overview paper, some cool data viz, and videos (some better, some worse) of researchers and practitioners discussing income volatility and its effects. 3. On-Demand Debt Traps? : Income and expense volatility create challenges of illiquidity. An obvious approach to that problem is more frequent access to pay (though it has some concerning behavioral drawbacks). Uber is trying that. But more frequent access to pay may not provide the lump sums necessary--short-term credit is another approach. Now Uber is trying that too. But the terms and conditions, and the people the credit is being offered to, seem pretty likely to pull in the naive and trap them in debt. While there is good reason to be skeptical of Uber's approach to finance, it has been rightly praised for fighting racial discrimination by both drivers and customers. AirBnB not so much--it's being sued for not taking action even when racial discrimination is obvious. 4. Suckers Games: Speaking of behavioral drawbacks, a key behavioral insight is limited attention. That's led to lots of experimental interventions in two orthogonal directions: using defaults so that people don't have to pay attention, and attempts to get people to pay attention to the "right" things at the "right" time. This past weekend I was at IPA's researcher gathering on Advancing Financial Inclusion, where new papers on work with digital finance, attention and defaults in Afghanistan, India, the Philippines and the UK strengthened my priors: trying to capture attention is a sucker's game. (yes, that's a lot of papers, but they are good papers and you should at least read the abstracts). 5. Microfinance Investment: While we in the research world tend to obsess over measures of microfinance impact, the "real world" chugs on. In recent weeks, two Indian MFIs have had successful IPOs, Ujjivan and Equitas, both attracting substantially more investor interest than they could accommodate (it really has been that long since the AP crisis). Meanwhile, Daniel Rozas looks at the inexorable growth of microfinance in Cambodia which increasingly looks like the next overheated market. I'm getting conflicting signals--I hear about a dramatic decrease in investors' interest in microfinance but I'm also seeing evidence of continued flows. What are you hearing or seeing? 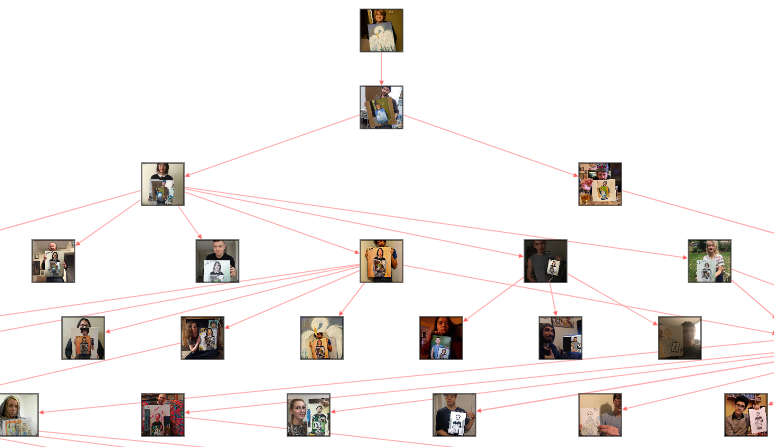 Our Algorithmic Overlords: (Are you noticing a theme?) Zeynep Tufecki writes in the NYTimes about the "real" bias in Facebook's algorithms, while Mullainathan et. al. find that using machine learning can improve hiring decisions for police and teachers.